When I lived in Wilmington one of my favorite things to do was go to the beach, my second favorite thing to do was drive around looking at all the gorgeous beach houses that I hope to one day live in…a girl can dream! 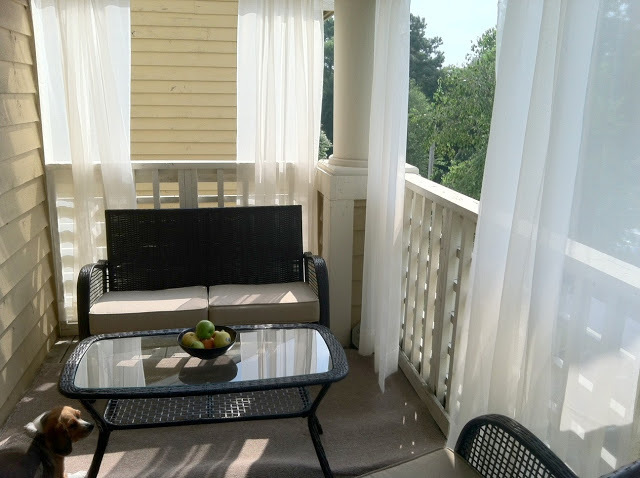 One thing a lot of beach houses had in common (that I absolutely loved) was sheer curtains hanging on the porches. Driving by those homes with the whimsical sheers blowing in the warm wind made me want to sit on their porch and read a great book. I am no longer in Wilmington by the beach but I figured why not bring some beach-y-ness and whimsy to my little apartment! Not only does it create a magical and relaxing outdoor experience but it also adds privacy while I’m outside on my tiny porch. 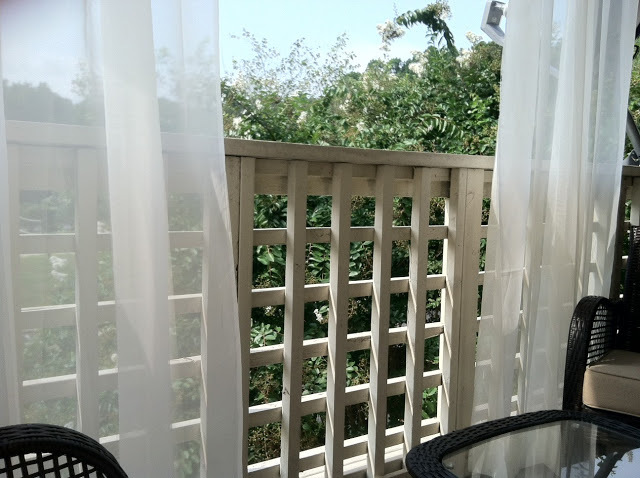 We are lucky enough to be on the third floor with a pretty flowering tree right next to us, so we do have some privacy already but the sheers really top it off. 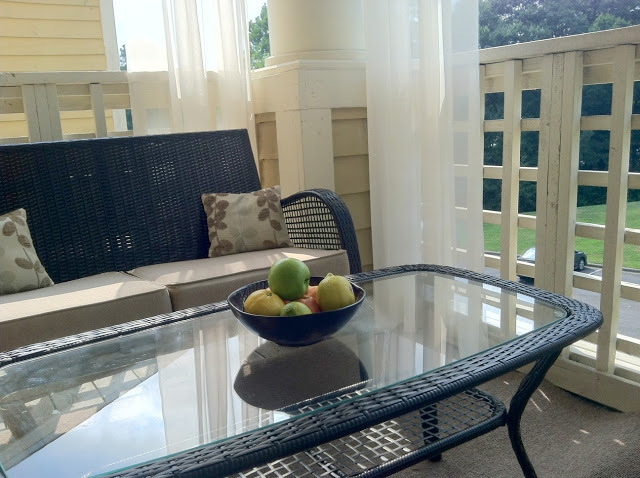 This is a cheap project that can really add a lot to a small outdoor space. It was super cheap for me because I already had the rods and sheers. All I had to buy was the hanging hardware, which I am sure is somewhere, but couldn’t find the pieces. Figure out the length you want the curtain rod to be and nail in the hardware. 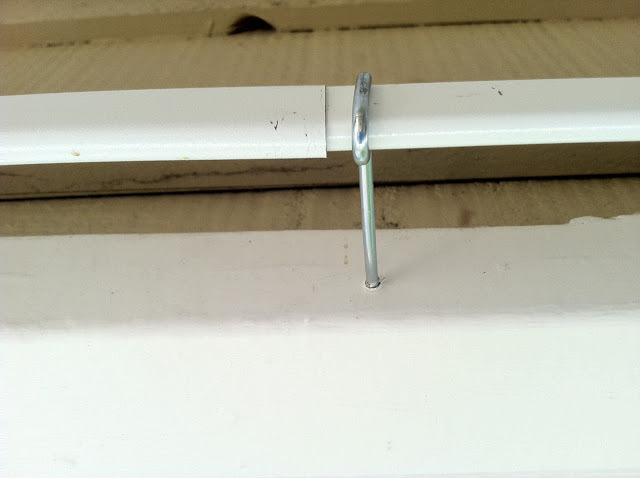 Clip in the curtain rod and make sure its level (or close to it, it doesn’t have to be perfect). 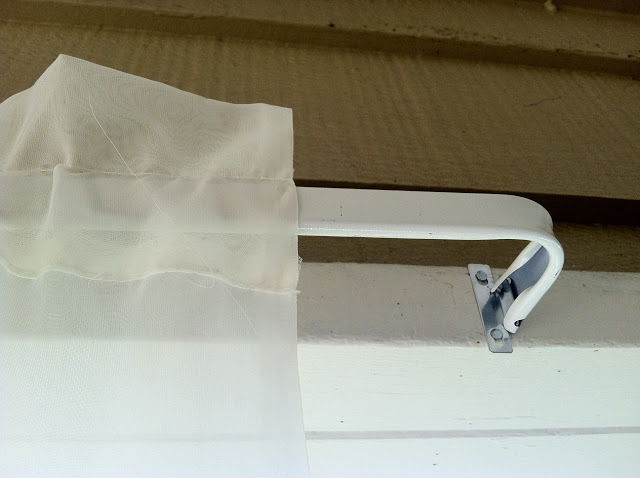 Take down the rod, and slide on the curtains and clip rod back into place. You’re done, enjoy!